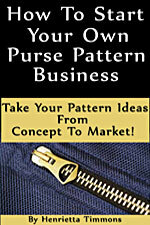 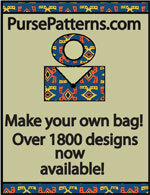 Fiji Tote Pattern - Retail $10.00 [PSBD124] : Wholesale Purse Patterns, Purse Patterns at wholesale prices for quilting shops, craft stores, and fabric shops. 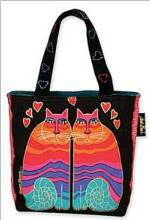 The Fiji Tote Pattern by Pink Sand Beach Designs is a fat quarter friendly bag pattern with 6 organizational pockets inside! 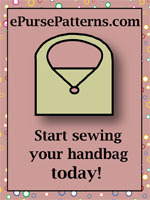 This purse is easy to make and there are instructions to make the 20" straps any length. 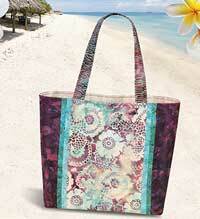 There is an optional snap closure and the finished size is 16 1/2"W (at the top) x 12 1/2"H x 4"D.